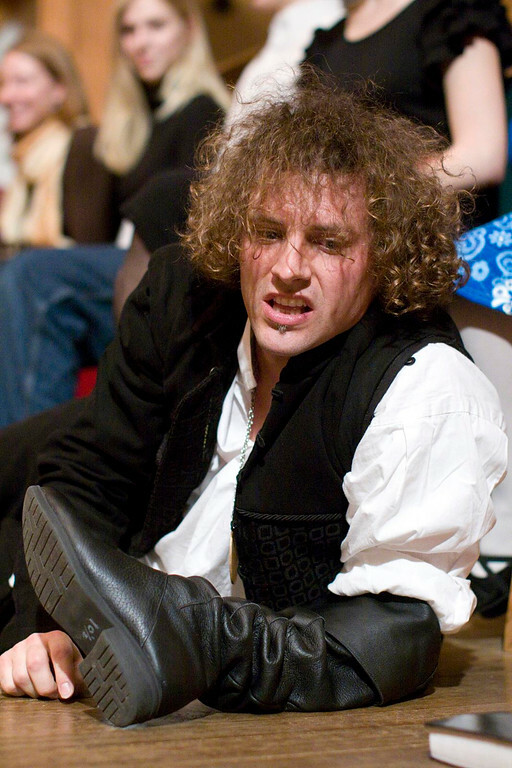 Daniel Kennedy in HAMLET. Photo by TOMMY THOMPSON. 2009. 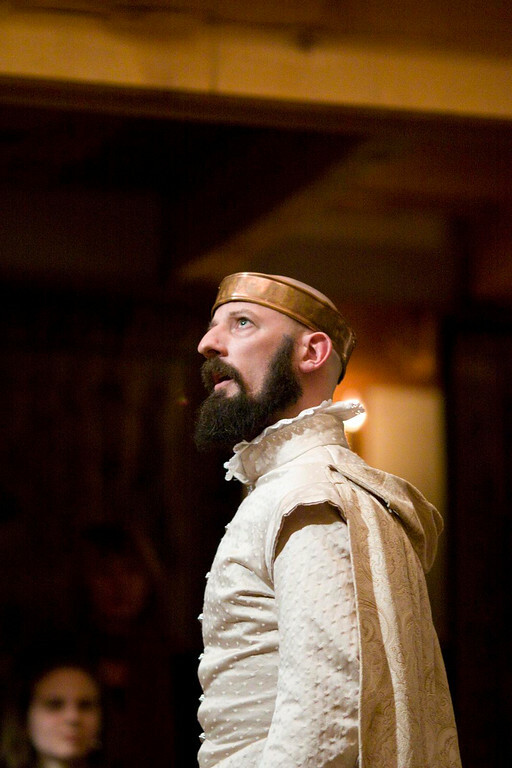 Dennis Henry in HAMLET. Photo by TOMMY THOMPSON. 2009. 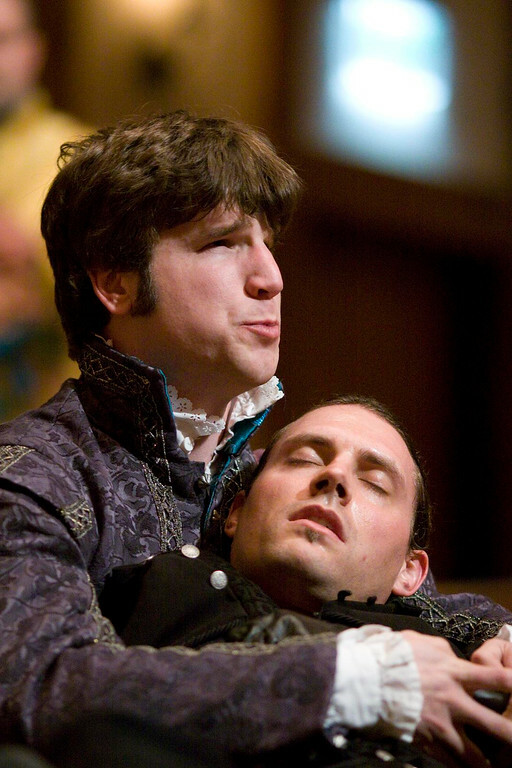 Aidan O'Reilly and Luke Eddy in HAMLET. Photo by TOMMY THOMPSON. 2009. The cast of HAMLET. Photo by TOMMY THOMPSON. 2009. 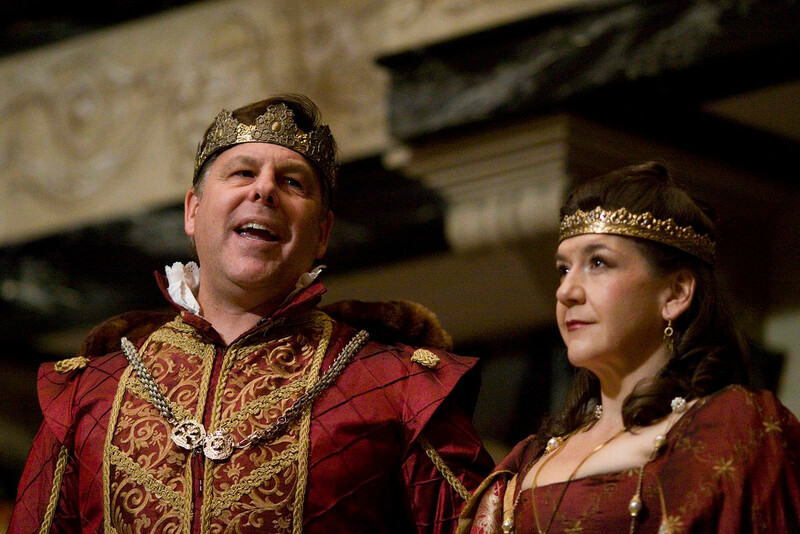 Jonathan Reis and Kelley McKinnon in HAMLET. Photo by TOMMY THOMPSON. 2009. 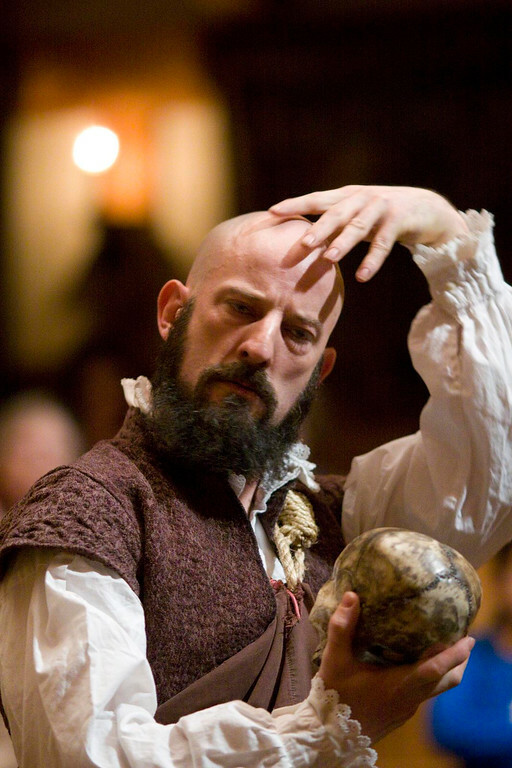 Josh Carpenter in HAMLET. Photo by TOMMY THOMPSON. 2009. 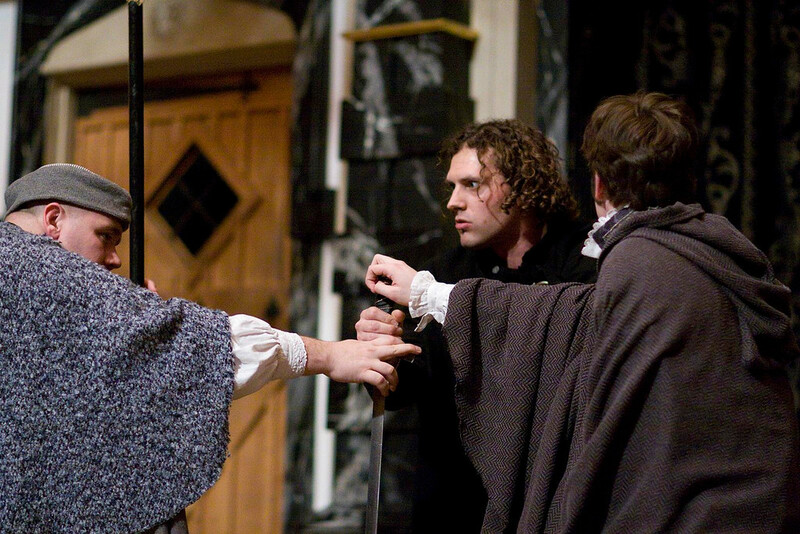 Rick Blunt, Luke Eddy, and Aidan O'Reilly in HAMLET. Photo by TOMMY THOMPSON. 2009. 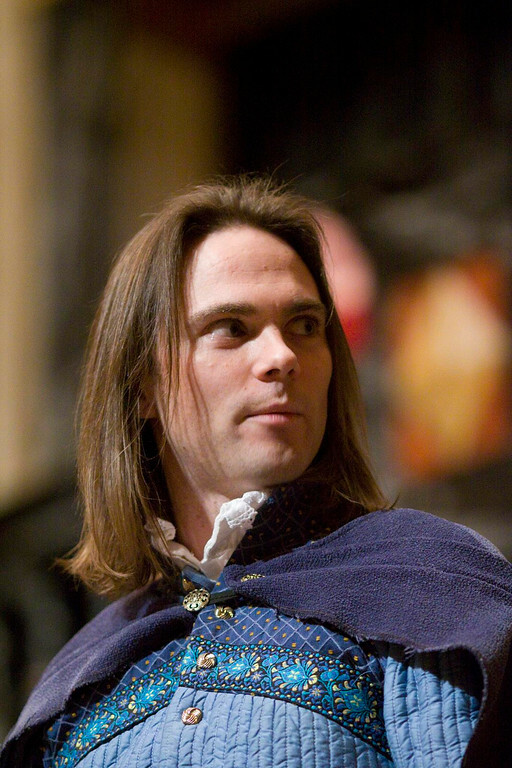 Luke Eddy in HAMLET. Photo by TOMMY THOMPSON. 2009. 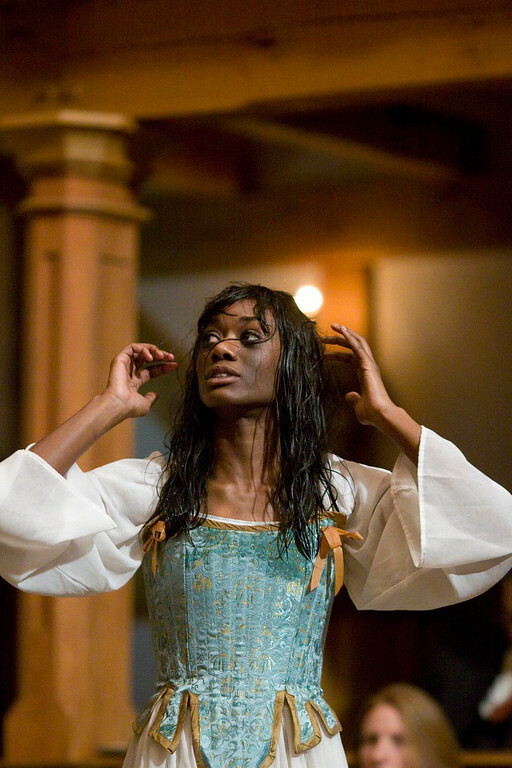 Brandi Rhome in HAMLET. Photo by TOMMY THOMPSON. 2009. In these days of Amazon.com and the proliferation of mega-bookstores, it is hard to imagine that buying a printed copy of a play was once a difficult, if not unfathomable, notion. Before Gutenberg’s invention of movable type in the mid-fifteenth century, a single book was about as expensive as a hybrid SUV is today. A monk or scribe sometimes spent an entire year copying a manuscript. After Gutenberg, and certainly by the time Shakespeare had become famous in the theatre world of the early seventeenth century, quartos (in essence, Elizabethan paperbacks) were widely marketed at affordable prices. But plays were considered live entertainment and were rarely available in printed form. Shakespeare’s Hamlet was probably first performed in 1602 with Richard Burbage in the title role. This play turned out to be one of Shakespeare’s most popular, and three different versions of this play were subsequently performed. thought by many scholars to be “unauthorized” and based on the recollection of actors, thought by other scholars to be an earlier and cut version of the play as performed by Shakespeare’s company. thought to be a response to the “bad” first quarto and based on Shakespeare’s papers. the first collected works of Shakespeare, also thought to be based on Shakespeare’s papers. The most intriguing difference found in these versions (revisions?) of Hamlet involves the sequence of scenes. Q2 and F1 feature identical scene order while Q1 places the “to be or not to be” soliloquy (followed by the “get thee to a nunnery” scene) much earlier in the play. Some believe that the Q1 scene order is “more logical” and that the story it tells is more direct and immediate. 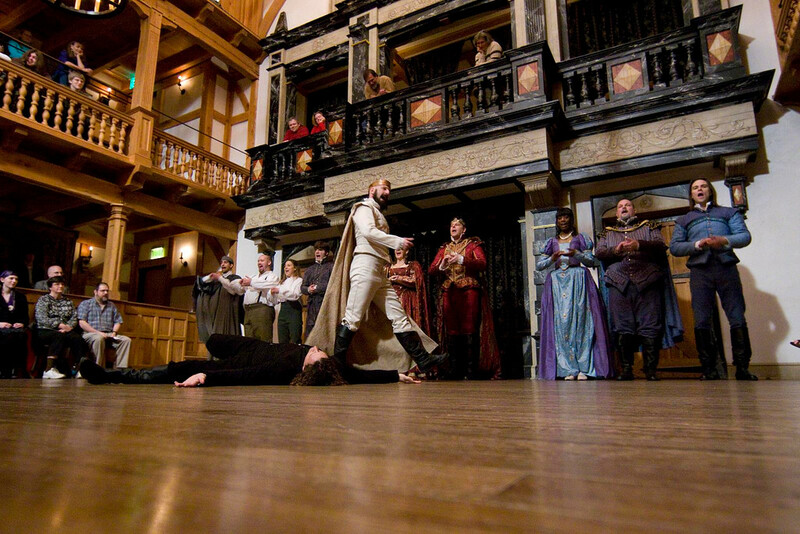 In Q1, “to be or not to be” and the nunnery scene are followed by the fishmonger scene, the arrival of the players, Hamlet formulating his plan “to catch the conscience of the king,” and Hamlet putting that plan into immediate action. In Q2/F1, the fishmonger scene comes first, followed by the arrival of the players, then Hamlet formulating his plan; but then Hamlet seems to lose his momentum, contemplating death with “to be or not to be,” followed by the nunnery scene, and THEN the players perform their play. Obviously, the arc of the story is significantly different in each of the two sequences; but which version has the “right” sequence? Which sequence plays “better”? Do the two versions feel different for an audience? Our 2011 Hamlet will use the length of the Q1 text as our guide, but we will be selecting speeches and word choices from all three versions. And we will be rehearsing both scene sequences. At this point, my plan is to work up two version of the show and perform the Q2 sequence on some nights and the F1/Q2 sequence on other nights. 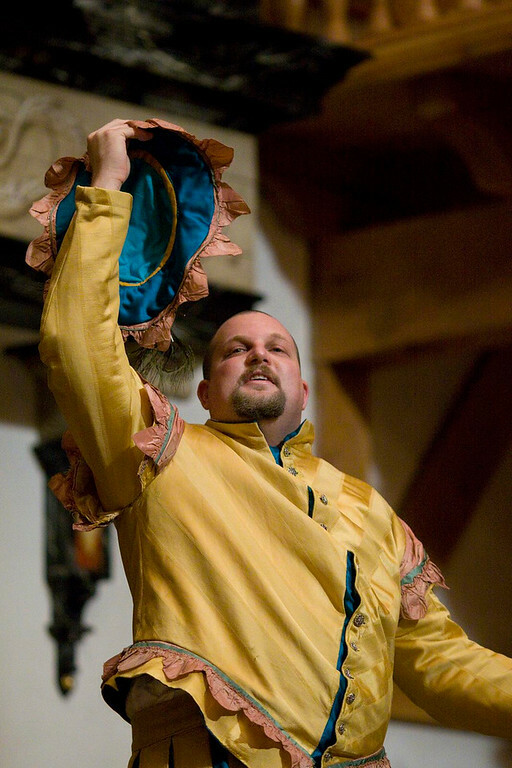 Maybe we’ll flip a coin each night and let an audience member choose our scene order by calling heads or tails (see Rosencrantz and Guildenstern Are Dead for more coin flipping). Whichever way we decide to go, the fact remains that we can never know which version of Hamlet is “correct” or “definitive” or “Shakespeare’s favorite.” With such an abundance of material from which to choose, the adventure lies in the exploration.